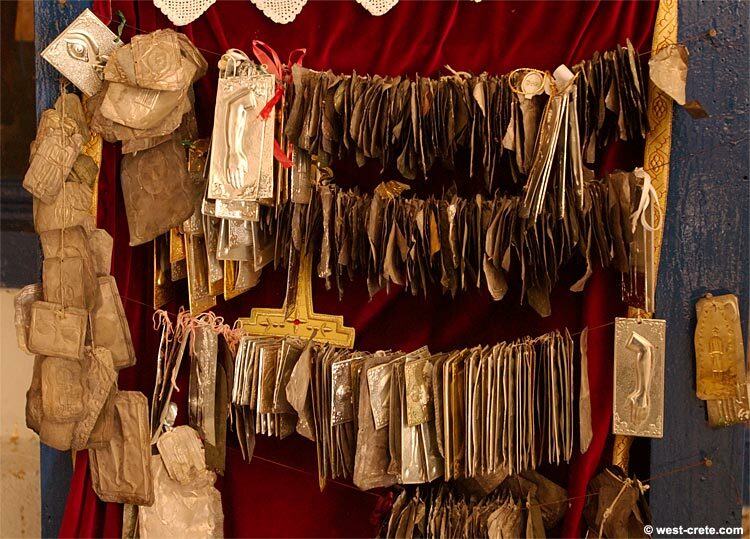 Tamata (the plural form of tama) are votive offerings or promises made of rectangular pieces of metal with miniature body parts shaped on them. They are made of tin, silver or gold, the choice of which depends on the amount of faith or the thickness of your wallet. There is no actual record or evidence that a more costly tama is more effective than the cheaper tin one. Orthodox Greeks in need of a miracle, a cure, a wife,a husband or a baby buy tamata representing their need (often a body part but often a whole person, male or female or baby and sometimes even a house - I haven't seen cars yet) and hang it with a ribbon below the icon of the saint of their choice. Some saints are more popular than others, some icons and churches are in higher demand. 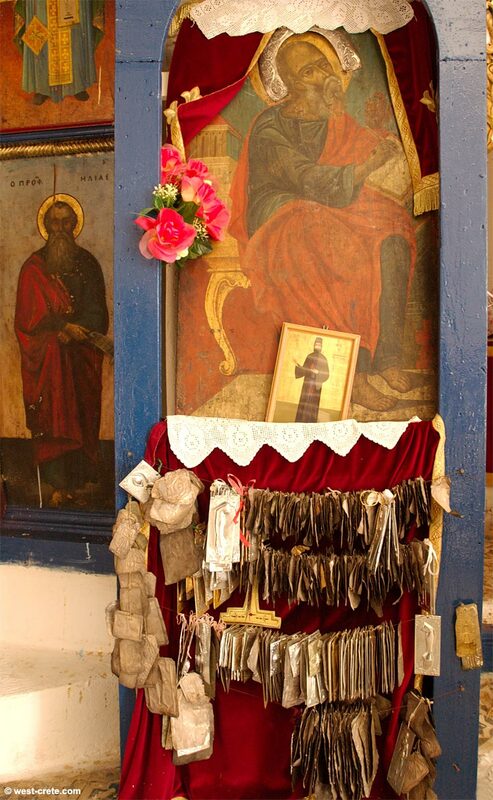 The photos above were taken in the church of Agios Ioannis Theologos (St. John the Apostle) in the village of the same name in Sfakia.